Assistant High Commissioner of India in Chattogram Anindya Banerjee on Saturday said around 14.5 lakh Bangladeshi nationals visited India in 2018 on tourism, medical and business purposes. At a press briefing at the assistant high commission's stall of the ongoing 27th Chattogram International Trade Fair, he also said Indian visa application centres have been opened in Brahmanbaria, Cumilla and Noakhali too to facilitate easy access to Indian visas. Anindya said more Bangladeshi people are getting interested to make foreign trips following Bangladesh's economic advancement and enhancement of their living standard. "India is an ideal place for visit at a cheaper cost," he said. 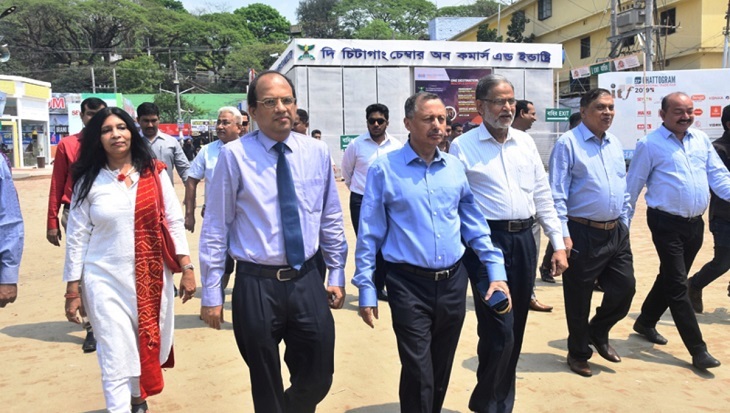 Mentioning that India always provides assistance to Bangladesh as its true and trusted friend, Mahbubul expressed the hope that it will participate in the fair as a partner country in the future and sought assistant high commission's cooperation in this regard.